Our mobile rotary dryer enables mobile drying and analyzing capabilites without any investment cost! 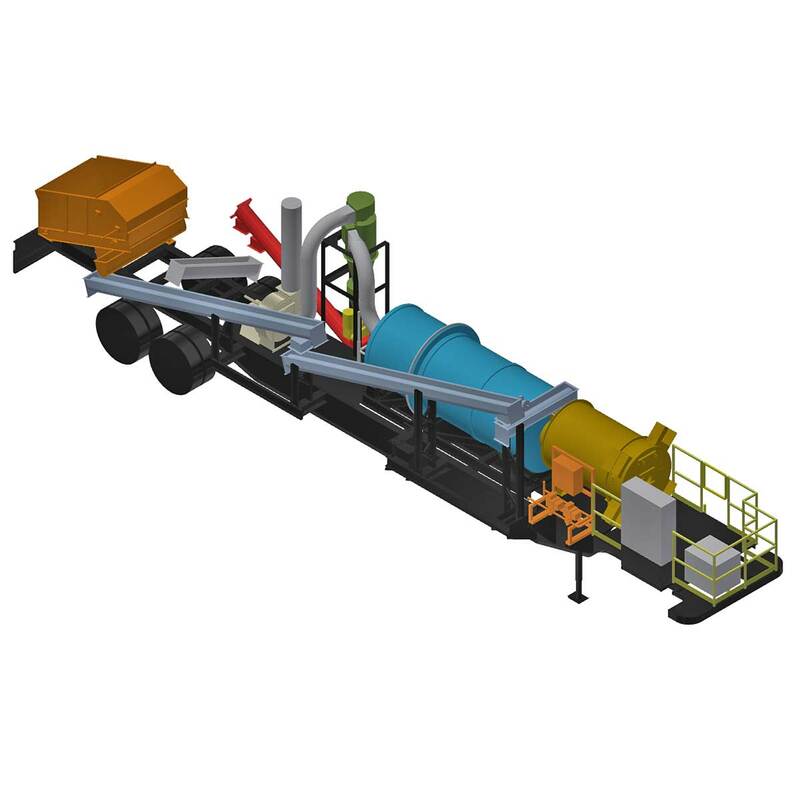 The Model SD45-12 mobile rotary dryer employs Baker-Rullman’s proven triple pass technology and is available for lease to customers interested in drying materials to analyze drying capabilities, equipment suitability as well as emissions data. The completely mobile rotary dryer system is mounted on a standard 53’ trailer to accommodate easy transportation and placement so you can bring it to your product- regardless of surface conditions. The SD45-12 mobile rotary dyer comes equipped with all necessary conveyors, ducts, control, and power supply so there is no need for cranes, fork trucks, assembly, millwrights, or special permits – the only major hook-up is fuel. 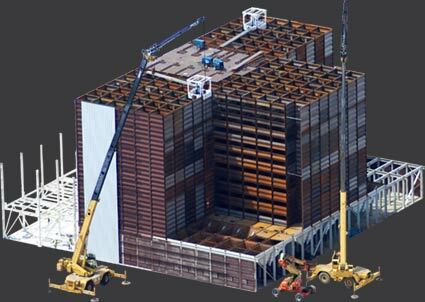 This unit will accept as much as 1 ton per hour in-feed and is designed to run with propane, natural gas, or solid fuel with complete control systems for all options. Process variables are datalogged during operation and can be downloaded for analysis through several convenient software interfaces. Emissions monitoring is also made easy with a portable analyzer; several ports on the mobile unit are available for measuring materials of combustion, VOC’s, and moisture conditions. This is a complete plug and play system designed to accommodate almost any application such as; sawdust, paper or municipal sludge, wood chips, egg shells, alfalfa, distillers grains, bakery waste, livestock renderings and citrus or vegetable byproducts. For stickier products, a recycle loop is included.